While college basketball fans everywhere (except maybe Lansing) eagerly anticipate March Madness, Episcopalians revel in Lent Madness. This is a fun way for us to learn more about the people who are listed in the Episcopal Church’s Calendar of Saints. 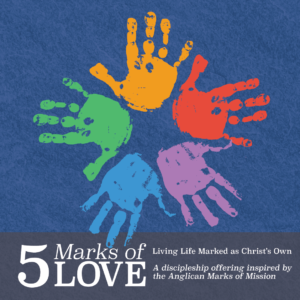 The Society of Saint John the Evangelist, a monastic community of the Episcopal Church, has an online, Lenten resource called “5 Marks of Love”. You can sign up for daily emails when you click here. If you’re an “on-the-go-Episcopalian”… there’s an app for that! 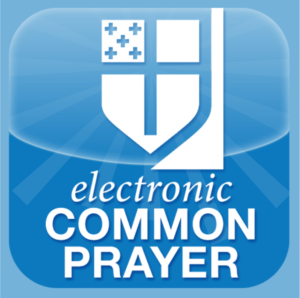 Head to iTunes to buy (about $10) the Electronic Common Prayer (eCP). In it, you can find the Daily Office readings, as well as many of the prayer services in printed copies of The Book of Common Prayer. As always, there’s Forward Day by Day. 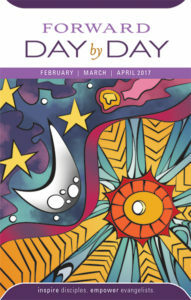 Copies of this Episcopal Church devotional can be picked up right here at St. John’s. The meditations are found online, as well, when you click here.